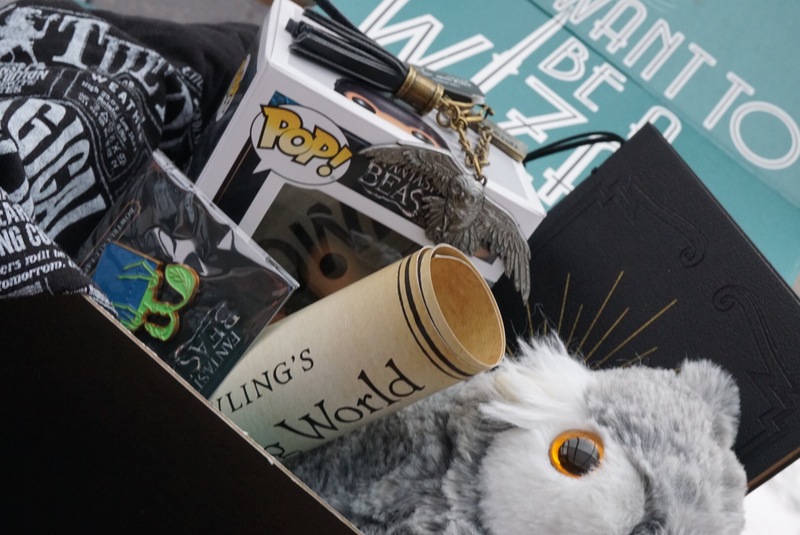 A few weeks ago I got my @lootcrate for the month of November – the theme of this sub box is “JK Rowling’s wizarding world” with the first box focusing on the latest movie “Fantastic beasts and where to find them”. The box costs $39.99 and it’s every 2 months, here are my thoughts on this. 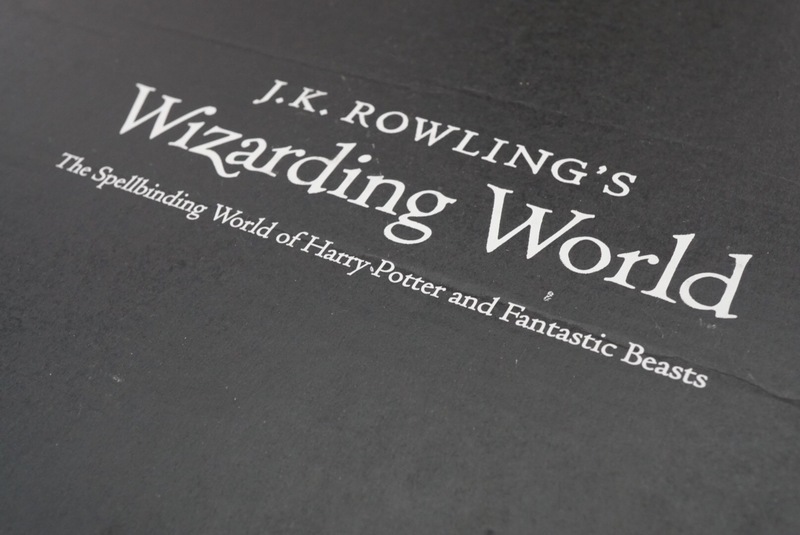 First of, as you all know already, I am a huge Potterhead, so when my friend Pammy told me about this I jumped! 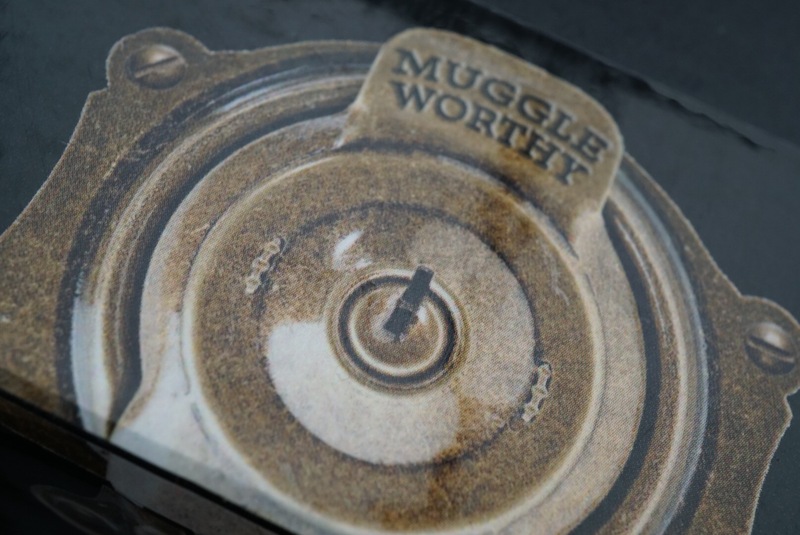 The first box arrived in a black box indicating its name and with a “Muggle worthy” seal which was cute to get, it kinda puts you on the mood and i almost didn’t want to rip the seal sticker open. A Bowtrukle lapel pin, which I will be honest: i don’t wear pins so to the giveaway pile it goes. A POP miniature (Niffler) its a cute tiny toy that Dragonia will prob gnaw on, its currently on her stash of toys. a Tshirt depicting a magical newspaper page – which i already wore a bunch of times. 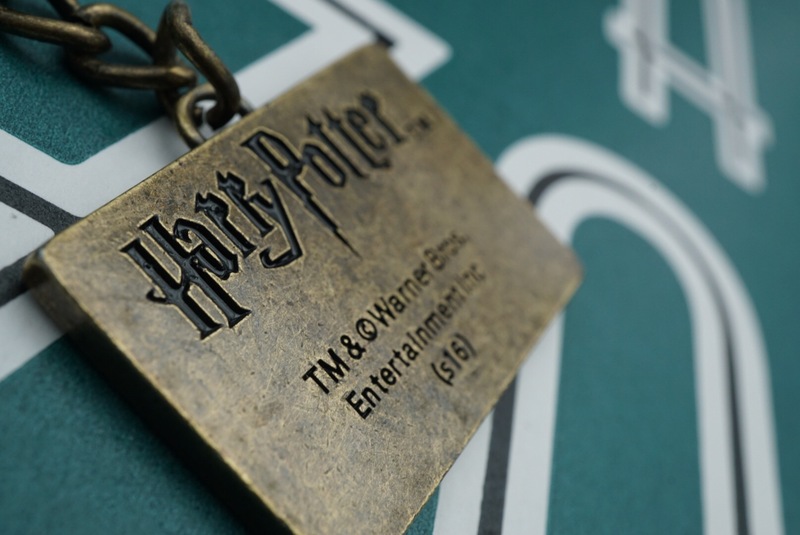 A Harry Potter keychain – this was cute but very heavy and i doubt i will add it to my current keys arrangement. A Pigwidgeon own plush toy – its on Dragonia’s bin… what can i say> i don’t collect stuffed animals anymore! A leather bound journal: i loved this one, i started using it to take notes on blog posts and things i have pending to post also to practice my calligraphy. It was 6 items but i really will use 2 of them, the rest Im lucky my kid will probably teethe on. 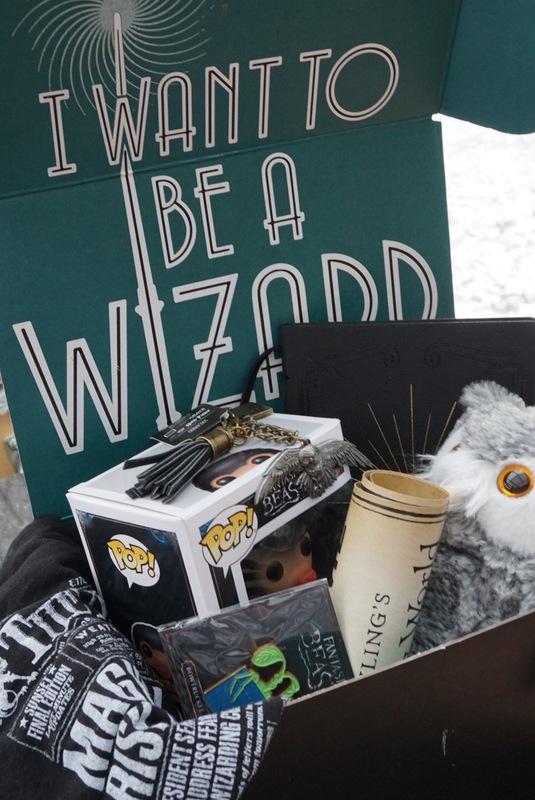 I think its a cute idea, but i wouldn’t buy most of these things personally, I love HP but i don’t have space in my beauty room for more stuff and these were on the novelty side. I still have another month paid off but i did request a cancellation, i will rather save my money for my next year trip to London to watch the Harry Potter play and visit the actual set/tours. Are you subscribed to this? would you? as an adult what is the limit on toy/geeky/novelty items you really allow yourself to collect until its too much? am i becoming an adult!? Ooooooh Em I collect pins and I loooove HP!! Can I buy the pin from you?? Shoot me an email at bonjoey at live dot com. Thanks!!! Babe I’ll ship it to you!!! Along w other pins I have here that I won’t use lol.